Summer is here and if you’re like me then you like to keep it light in the sunlight. This arugula salad is a perfect heat wave meal. It’s quick and easy. As you already know, I LOVE arugula. This green lends itself to great bold flavors. 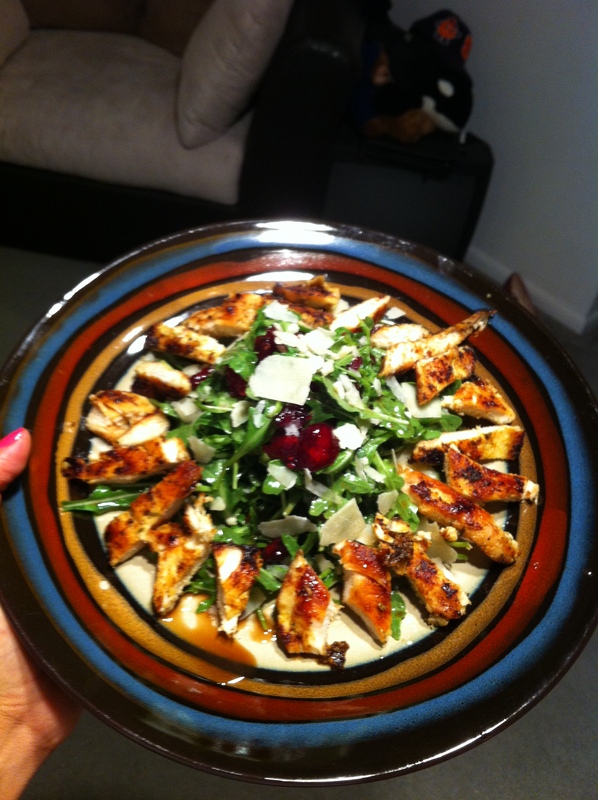 For my dieters– lemon juice and olive oil is all you need with arugula if you’re trying to keep the calories low. 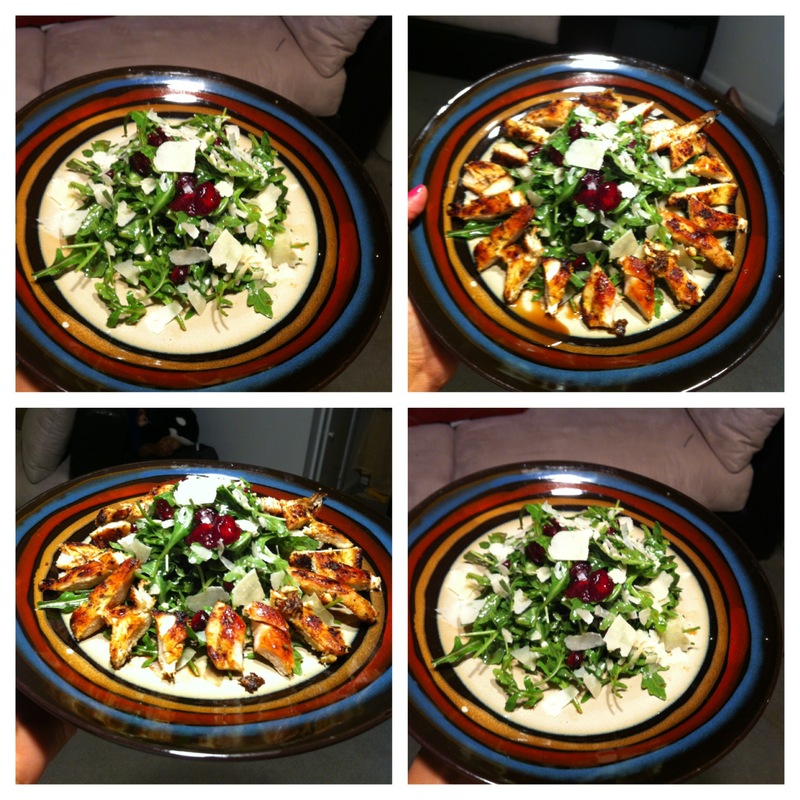 Below is my recipe for a lunch/dinner favorite…. Chop’t beware, I may have one up on you! I wasn’t kidding when I said this is a super fast and flavorful salad! If balsamic vinaigrette isn’t your twist, feel free to add another lemon, salt, pepper, and olive oil to your salad. Arugula lends itself great to citric dressings. You will NOT be disappointed! Don’t forget to check out my balsamic vinaigrette dressing listed under the salads tab. 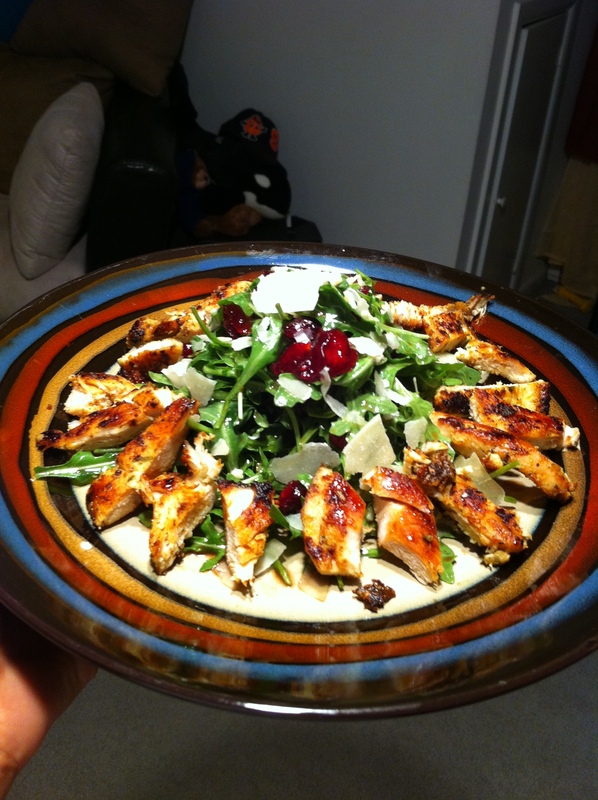 What about the grilled chicken?– Again the recipe is super simple! Simply season your thinly sliced chicken breast with fresh lemon juice, garlic powder, salt, and pepper. Then heat skillet with extra virgin olive and cook thoroughly. Make sure your oil is HOT so you too can achieve the golden color pictured above.